Embroidery Design and Pattern - DigitEMB is a professional digitizing company we are glad to serve our customer by providing Digitizing Service, we offer high quality Digitizing Service for Embroidery at reasonable price. 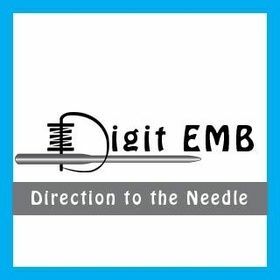 DigitEMB is working all around the world by providing services for digitizing embroidery. We are confident in our high quality services of digitizing embroidery. DigitEMB provides digitizing services like Embroidery Designs Vector Designs and many other Digitizing Services. We ensure that our customers will get the best embroidery designs and Vector Digitizing Services for Embroidery.